We are delighted to have been selected as a Top Innovator in Canadian Business by the Financial Post. Click here to read more about the Clikbrix mobile marketing solution for Real Estate. Clikbrix is the turnkey, mobile website and QR code platform for real estate that beautifully captures listing details plus speaks to the lifestyle and emotional needs of homebuyers—leading them on interactive, mobile journeys that go beyond the property walls. In this explosive mobile age and uncertain consumer landscape, homebuyers search for far more than number of bedrooms, bathrooms or price. Today’s buyers demand authenticity, expect dialogue and most of all, want meaningful information that syncs with their specific lifestyle and emotional needs. In addition to introducing a completely free membership option, Clikbrix recently launched a powerful new arsenal of content-rich, mobile features and tools that include the ‘Google+ Virtual Open House’, ‘Seller’s Story’, ‘What’s Nearby’ and ‘Neighborhood Insider’, as well as neighborhood video tours. Winner of the Smaato Mobile Marketing Award and named Texas Association of Realtors® Member Benefits Partner for 2012, Clikbrix is built around mobile consumer experience—engaging, delighting and interacting with people, and measuring the results are its DNA. “Clikbrix helps agents and brokers fuel aspiration and fulfill dreams of their prospective homebuyers… leading them on interactive, mobile journeys that go beyond the property walls.” says Goldhar. Clikbrix™ Corp. is a privately held mobile marketing and technology company for real estate, headquartered in Toronto, Canada. Launched in 2010 the Clikbrix mandate is to proactively develop industry-leading mobile products designed to meaningfully connect real estate agents and homebuyers. Collectively, the Clikbrix Team has significant experience in mobile and digital media industries, content creation and brand strategy and has worked with many of the world’s most important real estate and other industry brands. 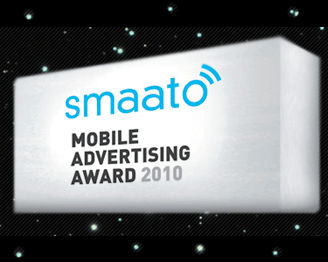 Clikbrix is proud and excited to be selected as the winner of the “Other” Category in the 2010 Smaato Mobile Advertising Awards. The “Other” category includes entrants covering Blackberry Applications, The Mobile Web, Samsung and Windows Phone Applications. Among others, the nominee List consisted of the USA Today, Foursquare, Facebook, Yelp, The New York Times, Hugo Boss and BMW. We’re nothing short of humbled to be associated with companies and brands of this caliber and importance in the mobile space. Click here to see a complete list of 2010 Winners.